This week has been a bit of a chilled one really, just filled with sunshine, friends and fun times hanging out. 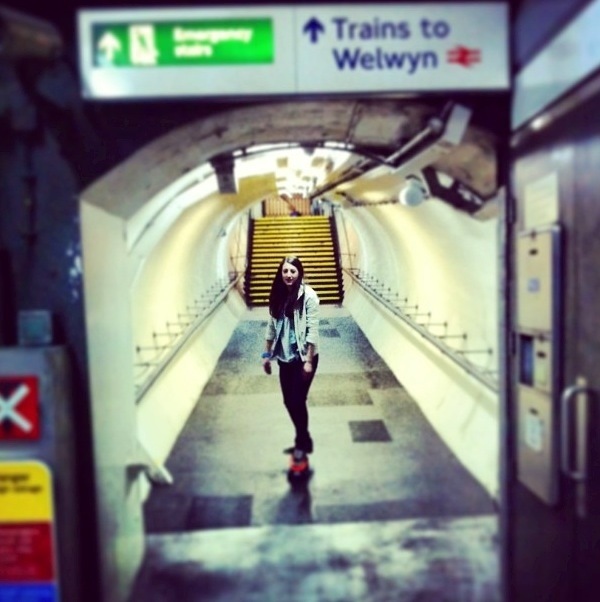 The other night I went out in London with my besties and of course had my awesome Penny skateboard with me (its a great way to get around London), so we had a good laugh skating about the best ground around…the London Underground! Also, I just think the photo is pretty cool!